Google Hotel Booking Website: A New Threat to Online Booking Agencies? Google. It’s the biggest search engine on the planet. It commands over 90% of the search engine market share worldwide and receives over 63,000 searches per second on any given day. There is no denying that Google has dominance in the search world and a key advantage of such prominence is the grip it has on consumers with people constantly turning to Google for answers to myriad things. While consumers pay nothing for most Google services, Google controls many of the way’s businesses access customers online. As the internet giant is the main source of answers for the majority of consumers who go online every day to get information, it almost impossible to run a company without buying advertising from the internet giant. In theory, online advertising sounds like a great opportunity to promote your business and can be seen as an extension/ add-on to your existing marketing plan. However, in recent years, due to Google updates, showing up at the top of search results (which is imperative for most companies) especially on smartphones, has become increasingly difficult. Buying ads is the best way to achieve that goal and as a result many large businesses face pressure to fork out large sums of money on a regular basis to fight for top real estate or risk losing out to competitors. While advertising has always involved a healthy fight between brands, when it comes to the online world, brands are increasingly annoyed over Googles advertising practices and dominance in various industry spaces. While Google would argue that this latest development is all about providing a better search experience, some of its customers, some of whom pay copious amounts in advertising fees to the internet giant, are less than impressed. Mark Okerstrom, Expedia CEO noted that Expedia spends billions of dollars marketing through Google annually and said of Google’s latest product offering “Now they say: ‘You have to pay for everything. And we’re going to compete with you directly in that travel business by offering travel services that will essentially disintermediate you.” Not only that but many industry critics have also weighed in citing that Google is “rigged” saying it often biases search results toward its own products instead of giving competitors equal access. – “[Google] clearly places its own travel businesses front and center in its search results to the detriment of competitors… We see Google preference its own content to the detriment of consumers in travel and local search” Steve Kaufer, TripAdvisor CEO. While it doesn’t apply to the US, the EU competition authority certainly agrees with their arguments as Google has just been hit with its third fine in two years from the EU over its advertising practices and abusing its market dominance. 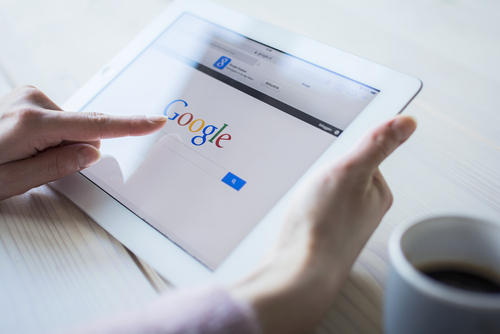 However, regardless of disgruntled customers and hefty fines, Google is a dominate and key player in the search world and any new product released already commands the attention of a large consumer audience. By becoming much more active in facilitating hotel bookings consumers will have the option to search and book without having to navigate away to a hotel or online travel agency site. In the past, the fight for bookings mainly involved the hotels and OTA, now there seems to be a new, bigger player in town which is presenting a greater threat to all. Google.